Oh my Alex Norvell is my paternal great grandfather and his son Tony married my grandmother Sarah Halfacre!!! This is an awesome find!!! That’s great! I wonder if they were married in the church? Thanks for commenting as always. My name is William Carson, I am descend from the CARSON’S from Ripley, Tennessee. I have been researching my family lines out of Ripley and Paducah since 2006. I believe that we are distant cousins through marriage. I would like to make contact with you and other relatives for my research. Are you a descendant of the William Carson born 1904 in Ripley that was the son of Richard Carson and Laura Gildon? Richard Byrn, Smith Carson are father and son and were trustees of the Church. The early members were mainly related to each other through marriage- CARSON- HALFACRE-NORVELL-JEROE(JAYROE)-CLAY. Died 13 March 1929 in Paducah, McCracken, Kentucky- This line of my family are the ones that established Miles Chapel CME in Paducah KY. I actually found members of the CARSON line through my research and had NO IDEA that they existed! Needless to say we are happy to have found each other. I’ve discovered family through research as well and even got to go to a family reunion. Love it when that happens. A lady named Sara left a comment on the “About” page of my blog that she’s related to Norvells and Halfacres. Maybe you all can make a connection. 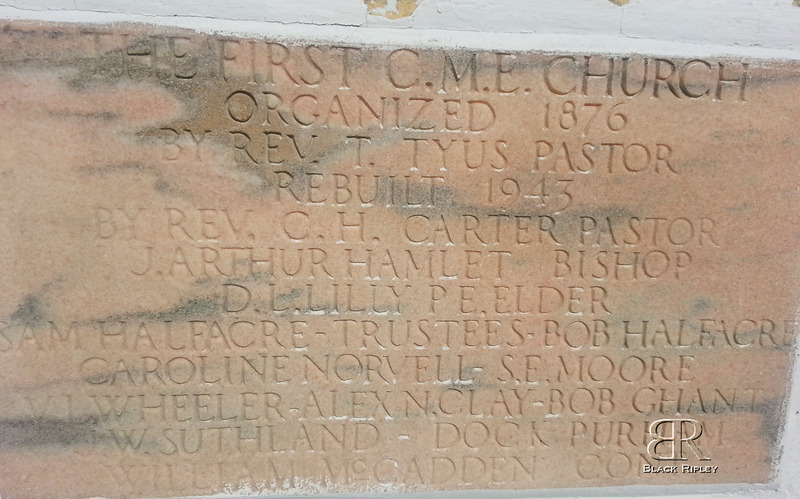 Tiffany, Do you know if anyone rescued the plaques, etc., before the church was razed? Thanks for commenting. No, I don’t know if those items were saved, but I truly hope they were.